Conor McGregor vs. Anthony Pettis — a match made in fight Heaven — according to Pettis, who says fighting The Notorious would be a “dream fight” for UFC fans. We talked to Pettis — days after moving up to the welterweight division and starching Stephen “Wonderboy” Thompson — about his next move … and he says Conor makes a whole lotta sense. There’s just 1 problem … Pettis says if Conor’s actually mulling quitting, fighting him is a very bad idea. 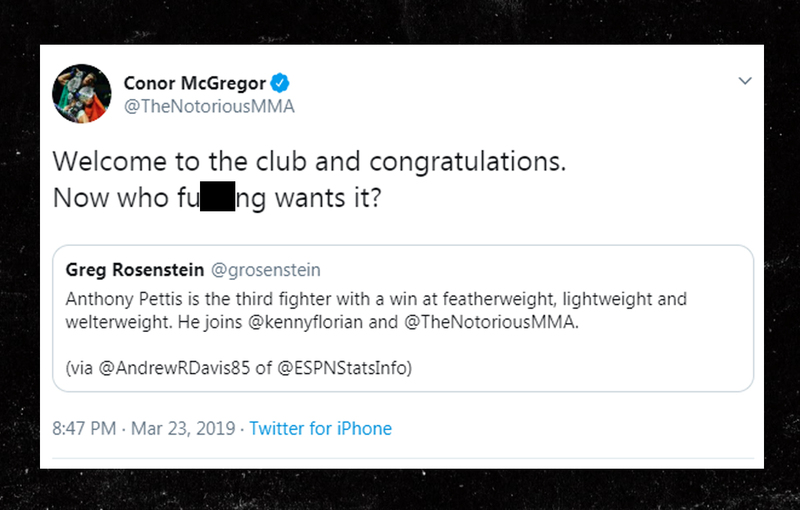 But, if Conor’s just using the threat of retirement as a negotiating ploy, Pettis is all the way down to fight … and he thinks it’d be a helluva entertaining match up. “I go for the kill. He goes for the kill. We both have a flashy striking style with a great ground game.”.